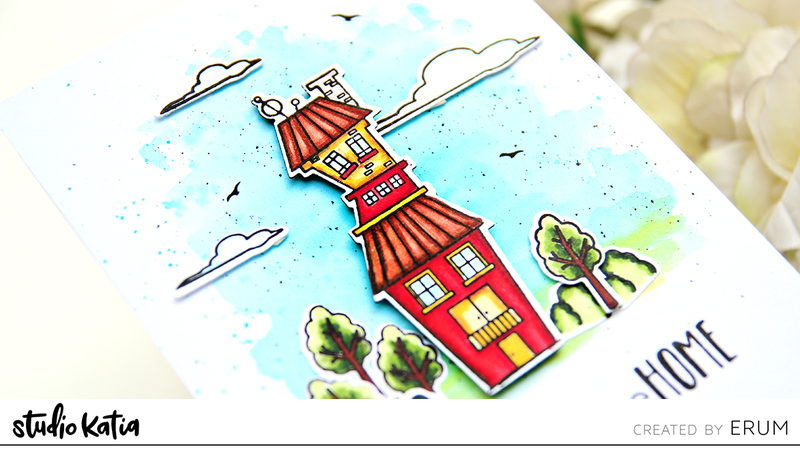 Erum here today with an adorable card featuring the Whimsical Town Stamp Set. 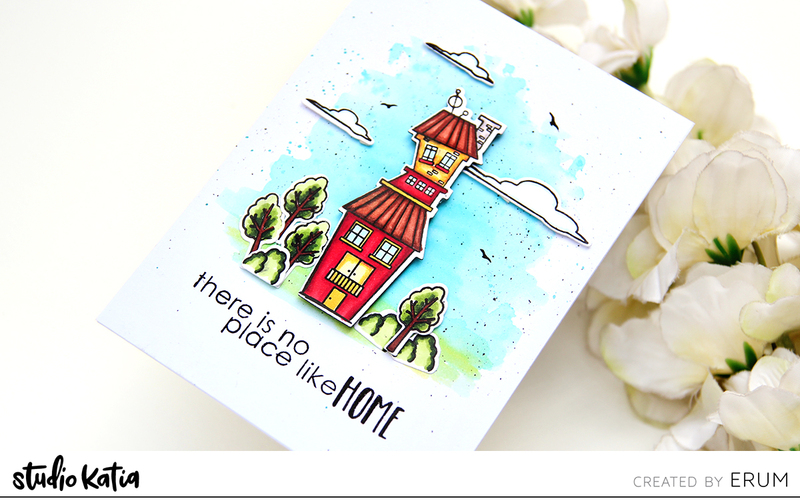 I stamped all the images on Crest Solar White Cardstock and coloured the images with alcohol markers. Next I used the coordinating dies to die cut them and then I set them aside. 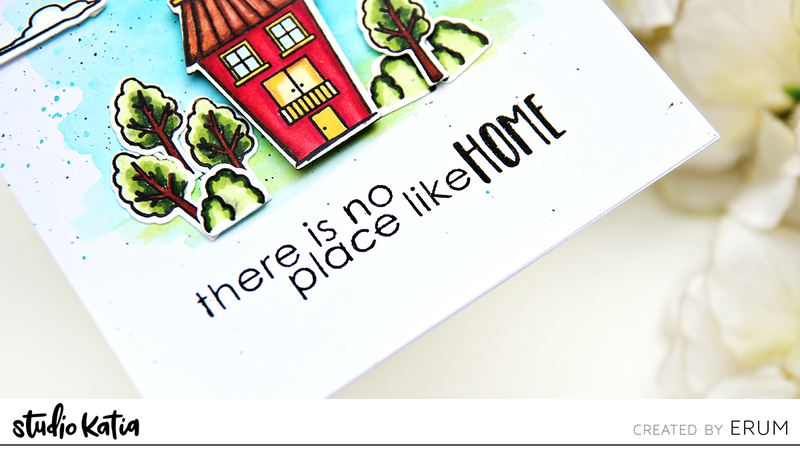 Next, I worked on the card front. For this, I applied a light colour wash of blue and green to depict my sky and ground. After it was dry, I added fine black paint splatters. Then I arranged all the images on the card front with foam tape. To finish off, I stamped the sentiment. I hope you liked my card! Thank you for stopping by! Loving this stamp set. So versatile. Thanks so much for sharing your art. Lovely Erum! Thanks for sharing.